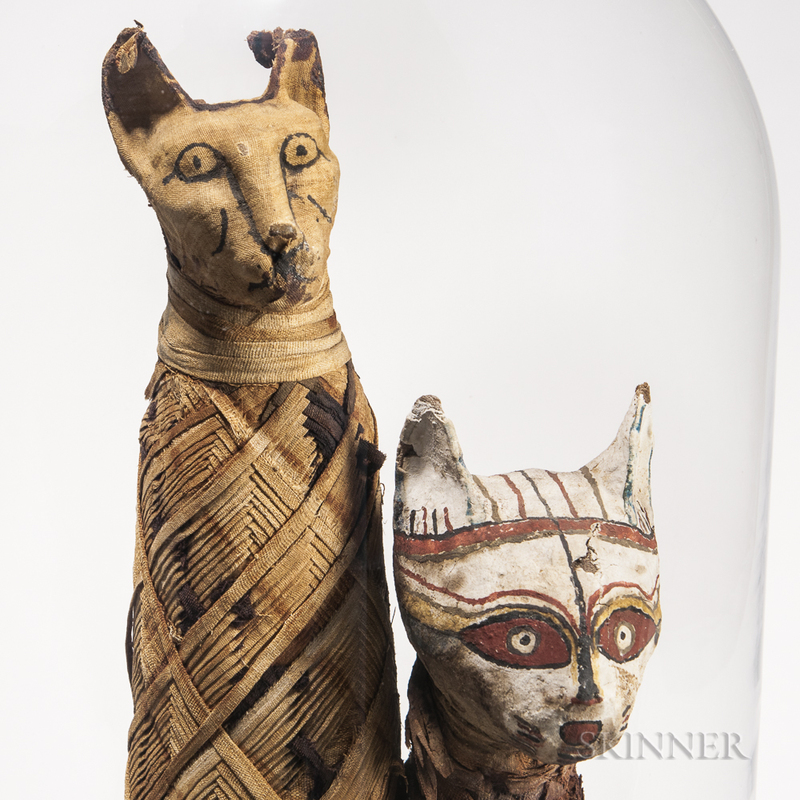 Two Mummified Cats, Ancient Egypt, standing wrapped in coarse linen, painted eyes, nose, ears, and whiskers, mounted on a round stand (now unstable), in a domed glass case, ht. to 21 1/2 in. 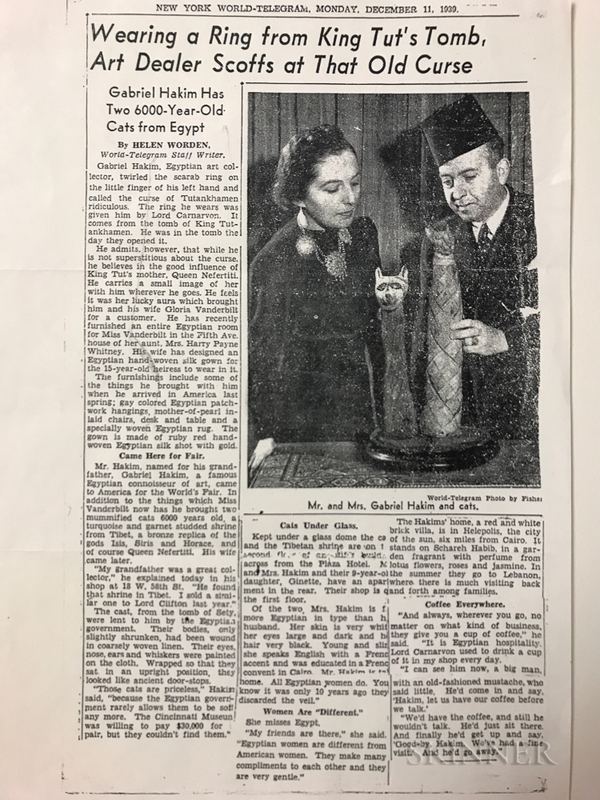 Provenance: From the Gabriel Hakim collection, featured in the New York World-Telegram, Monday, December 11, 1939, with a picture of Mr. and Mrs. Hakim behind the two mummified cats.